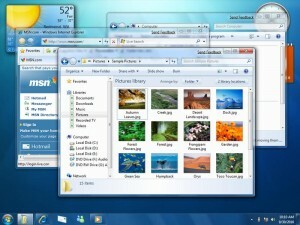 There are many interesting and innovative features coming in the latest version of Windows, Windows 7. Many people are really eager to know more about the new OS, though the release date is very far from now. I have seen people creating Windows 7 Wallpapers, Windows 7 Screensavers, Windows 7 Themes and many others. So I just want to share with you some of the features of Windows7 worth noting. Microsoft is concentrating a lot on Improving the battery life and playback of DVDs in Windows 7. The good thing is that when you insert a DVD it will immediately start playing the Movie instead of showing you many options. Even they are working on to increase the battery life. Windows 7 will treat Cellular Modems as a standard connection. It will be consider similar to a Wi-Fi Network. When you connect to a public Wi-Fi spot, a pop-up is displayed on the status bar when a further action from your side is needed. 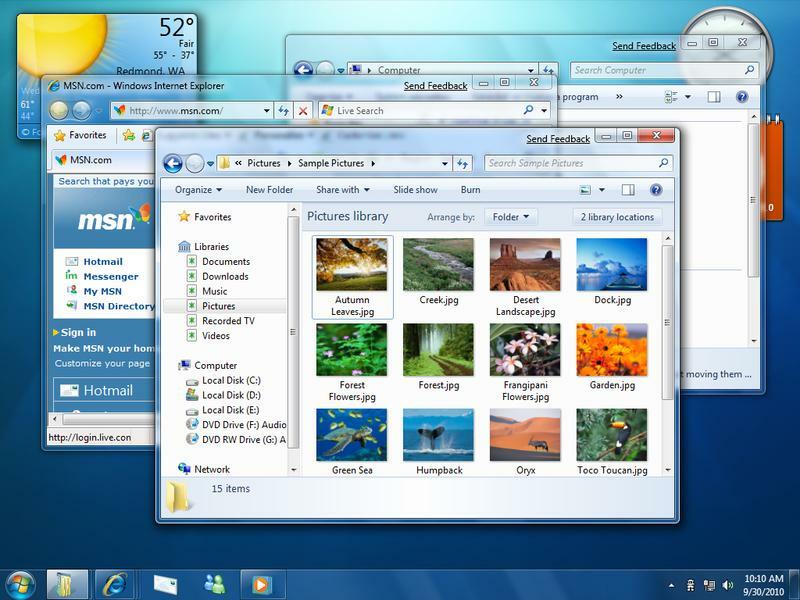 Windows 7 will add a base-level support for all kinds of sensors. So you will have a support for your GPS device, fingerprint reader, accelerometer, ambient light sensors and many others. So a light sensor can be used not only to light up a keyboard, but an application can also sense daylight and make fot size larger so that it’s easier to read. There will be a lot of changes in the latest version of Windows Media Player that would be bundled with Windows 7. The Windows Media Center will also be live with couple of new features and enhancements. There is a support for H.264 video also. Windows7 had got improved support for biometric support for the fingerprint sensor from AuthenTec. This provides ease of fingerprint sensor integration for PC manufacturers and a more consistent user experience.